This Texas Bluebonnet was found at Santa Elena Canyon at the west end of Big Bend National Park. 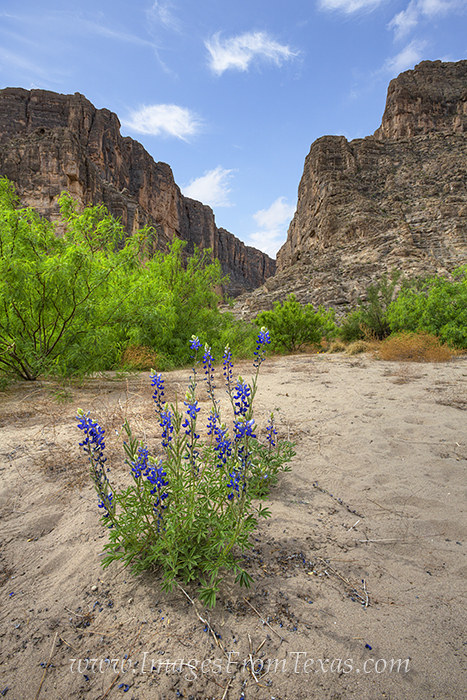 On wet years, the bluebonnets can be plentiful in this area of the Chisos Mountains. Photo © copyright by Rob Greebon.